Built in 1946, the Niagara Falls Conservatory Greenhouse has 3 major display houses with different temperatures and plantings. 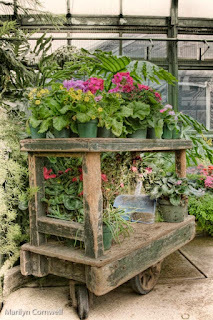 This bench was in the cool greenhouse last week when I was in, with some fresh spring plants going in. 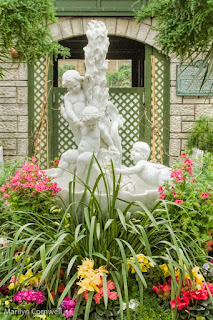 The gardener's bench looks original to the greenhouse, and gardener said it has always been there.